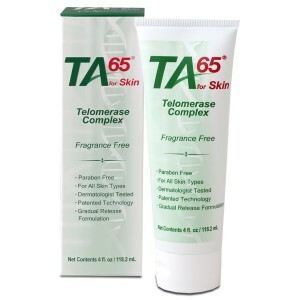 TA-65® skin Telomerase complex - 118.2 ml (4 oz) tube - flagrance free Developed based on cutting edge anti-aging telomerase activation technology, TA-65® SkinTelomerase complex provides younger looking, clear and radiant skin. Developed based on cutting edge anti-aging telomerase activation technology, TA-65® SkinTelomerase complex provides younger looking, clear and radiant skin. The TA-65®SkinTelomerase complex rejuvenates the complexion with compounding effects of gentle exfoliation, nourishment, balancing and detoxification. The effective delivery of active ingredient provides rejuvenation effects in all layers of the skin. 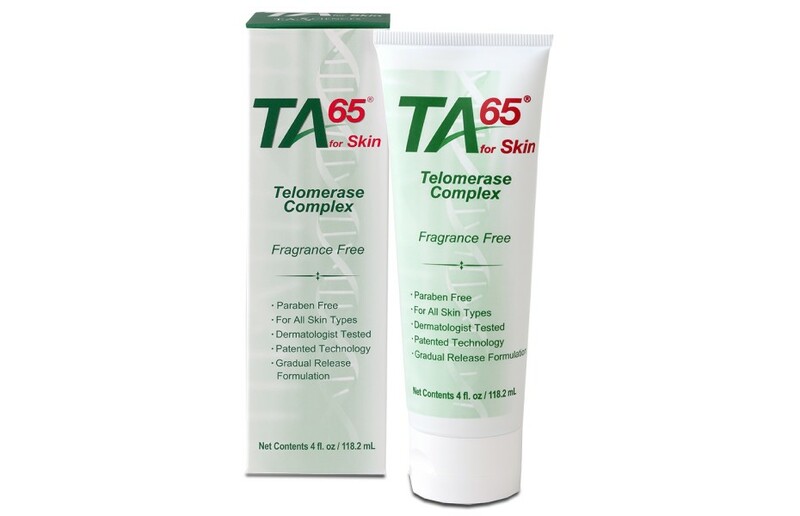 Dermatologically tested and scientifically proven, the TA-65® SkinTelomerase complex is a unique anti-aging regimen based on telomerase enzyme technology. The technology is proven to improve skin by wrinkle reduction, fine line reduction and enhanced smoothness. 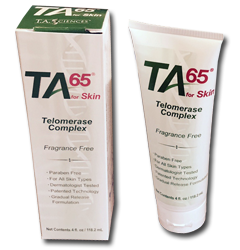 Patented, TA-65®skin Telomerase complex is ideal for all skin types. Dermatologically tested and paraben free. Formulated with gradual release technology. (US Patent No: 7,846,904). France2 - Envoyé Spécial: TA-65 a longevity dream. Telomerase : immortality protein ? Bonjour, Est ce toujours efficace maintenant. Hi, I have started to take the ta-65 for 12 mon... Men think i am around 26 and i am more than 40.